"It was never a master plan. Everything just happened based on the needs of other people." In 2004, I had the idea to empower cancer patients and their loved ones through a boot camp approach when one of my participants first received a diagnosis. I knew that continuing a physical fitness routine would improve the mental and physical well-being of this participant, as well as the quality of life. 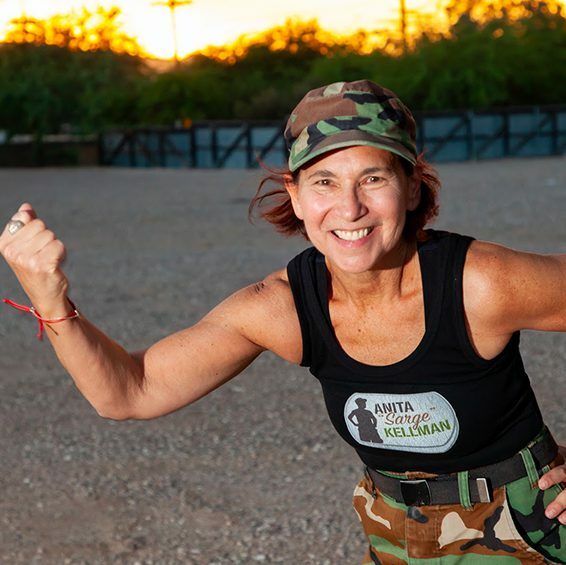 Spread across eight U.S. states, Beat Cancer Boot Camp provides support, education and camaraderie to cancer patients, survivors and their families. I encouraged that participant to keep coming for fresh air, nature and to stay positive and active, and she stuck with the class through treatment. She told me what got her through was being around everyone and taking charge of her health. They say that the scariest times in life are the day they’re diagnosed with cancer and the day they’re discharged. You would think being discharged would make people happy. But, up until then, they’ve always felt someone was taking care of them and helping them. But that’s how boot camp helps refocus their thinking. They are now keeping control of their health, protecting themselves. They might not have daily radiation, but they are taking control of their health. It’s not an impossible, intense exercise routine. Beat Cancer Boot Camp is for any age, any size, any face. It was never a master plan. Everything just happened based on the needs of other people. All the years of doing boot camp, I didn’t realize that I was giving people a second chance. It opened up my eyes, so I flew up to LA to work with The Biggest Loser. It was so inspiring to be invited to help.